Are you a business owner who received a complaint against your business? Learn about how to respond. Learn about preventing scams and fraud: Request free fraud prevention training. Not every transaction goes as advertised. Some deals are too good to be true. Sometimes a business will act in a less than ethical way. 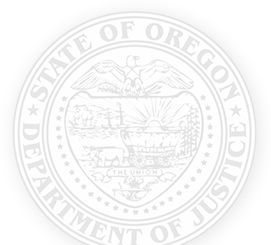 The Oregon Department of Justice is committed to ensuring a fair and safe market place. If you feel you’ve been taken advantage of, there are steps you can take — both online and on the phone. If you want to take legal action, please contact a private attorney or file suit in local small claims court ». If you need help finding a lawyer, the Oregon State Bar Lawyer Referral Service » can help. Download the Consumer Complaint Form (PDF) » and submit it with your supporting documents. After submitting a complaint, one of three things will happen. If the complaint falls under the DOJ’s jurisdiction, it will be assigned to an enforcement officer. The officer will send you further information, including a file number and a copy of the letter sent to the business that is the subject of the complaint. If the complaint is better handled by another government agency, it will be referred to them. You’ll receive a letter alerting you to the referral. If the complaint was sent for informational purposes only, you’ll receive a letter of thanks. The Attorney General’s Consumer Hotline is open from 8:30 a.m. to 4:30 p.m., and is staffed by dedicated volunteers who field more than 50,000 calls each year. Oregon’s Consumer Complaint Database » is built from consumer contacts since January 1, 2008 and is for information only. It may not offer a complete, accurate or comprehensive account of every incident. Several factors, including a company’s size and volume of transactions, may affect the likelihood of a complaint being filed. The Scam Alert Network provides up-to-the-minute information about scams, frauds and other threats to consumers. Click the link below and enter your email address to be added to the network. We won’t share your email address, and we’ll only send scam alerts. The Oregon Department of Justice Charitable Activities Section » supervises and regulates the activities of charitable organizations in the state. Note that complaints filed with the Charitable Activities Section may become part of public record. If you are concerned about confidentiality, please call us at 971-673-1880 before submitting your complaint so that we can discuss your request for confidential treatment. Fighting elder abuse is a top priority for the Oregon Department of Justice (DOJ) and Attorney General Ellen F. Rosenblum. or on the DHS website ». If it is an emergency please dial 9-1-1. Victims of elder abuse may be slow to recognize and report the abuse. Learn more about the warning signs of elder abuse » and about what Oregon’s Attorney General is doing to combat elder abuse ». Please use one method as all complaints are processed by the same Client Fraud Hotline Coordinator. You can also report Medicaid fraud to the U.S. Federal Department of Health and Human Services ». Is Your Number on the National Do Not Call List but Still Getting Unwanted Sales Calls? If you are receiving telemarketing calls even though your number is registered with the National Do Not Call List, please submit a complaint on the National Do Not Call List » website.